Horizontal Card Rise: This is a lovely effect which is as baffling as it is entertaining. The original idea comes from Karl Germain (1878-1959) using a large goblet to hold the cards. Eric Lewis also created a version called Comedy Come-back Card c. 1947 which is still available from his son Martin Lewis. 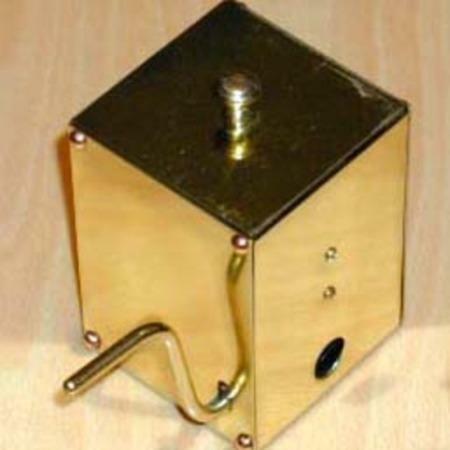 This version was created by Nick Ruggiero and is effectively a mechanical version of the Germain idea. 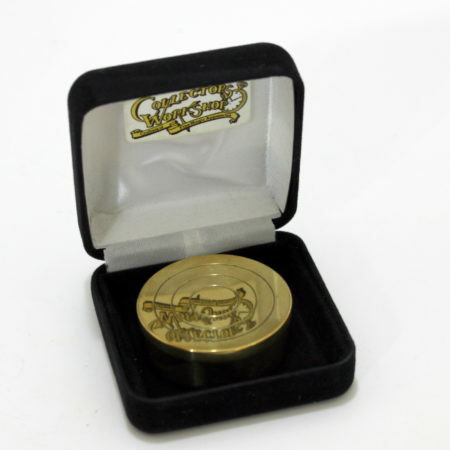 It is one of the most popular and enduring Collectors’ Workshop effects. The performer has two cards selected and replaced in the deck. 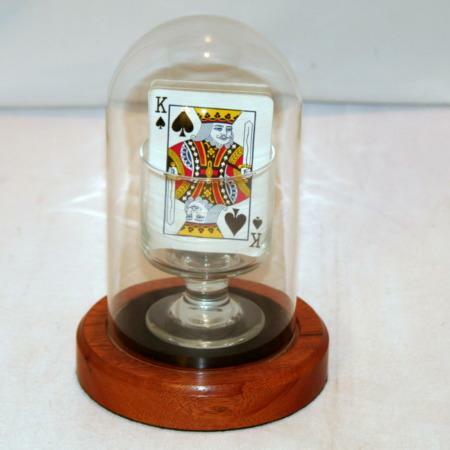 The deck is placed in a small glass which is then placed on a small wooden base and covered with a glass dome. The cards are shown with the faces toward the audience, completely isolated and impossible to touch. The whole affair is now covered with a silk hank. 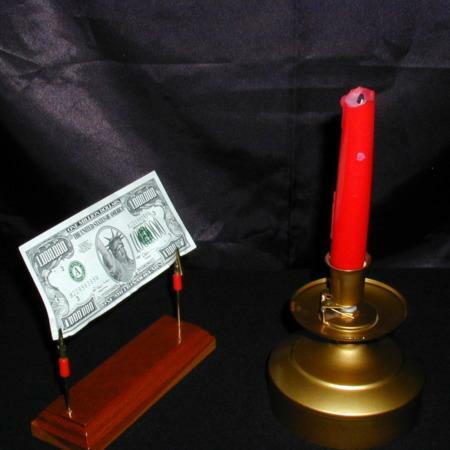 The performer explains that, with proper concentration, the selected card can be made to travel horizontally through the deck and appear at its face. The first spectator is asked to concentrate on his card. The silk is snapped away from the dome: The selected card has moved horizontally to the front of the deck! Now, the performer raises the stakes dramatically. 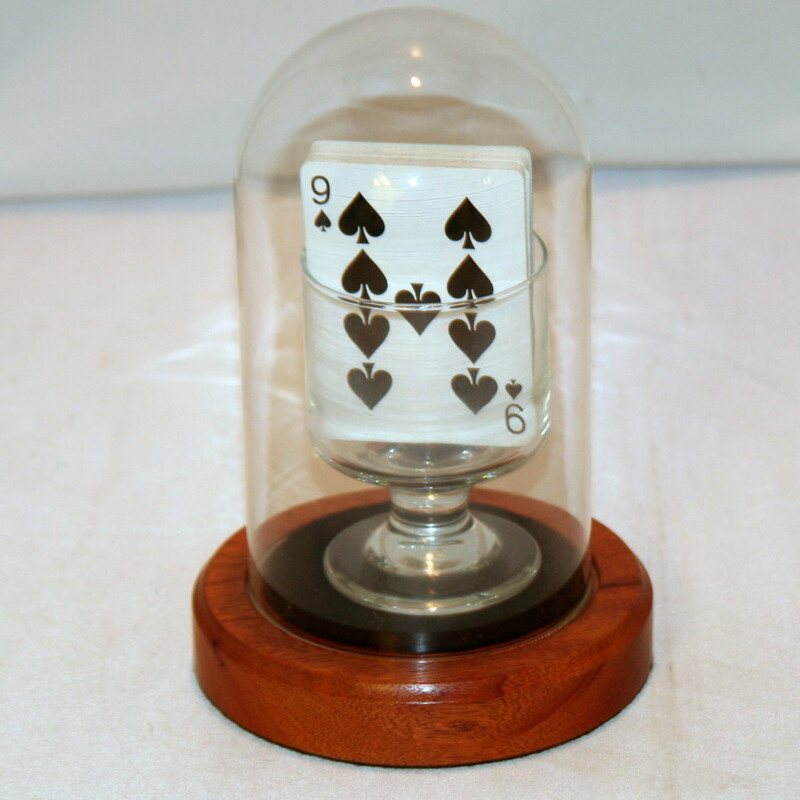 Removing the cards from the glass, he encircles the entire deck with an elastic band. 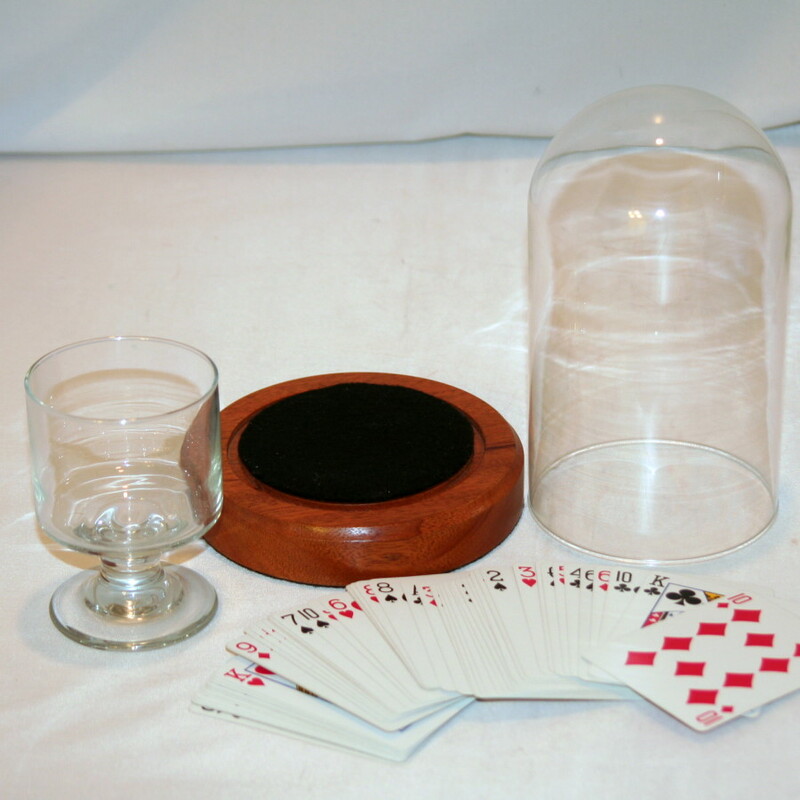 The cards are set in the glass and again the dome replaced and covered by the handkerchief. The second spectator concentrates: instantly, the silk is removed to show that the second chosen card has journeyed to the front of the deck even under these seemingly impossible conditions. NOTE: No strings, wires, magnets; no difficult sleights. 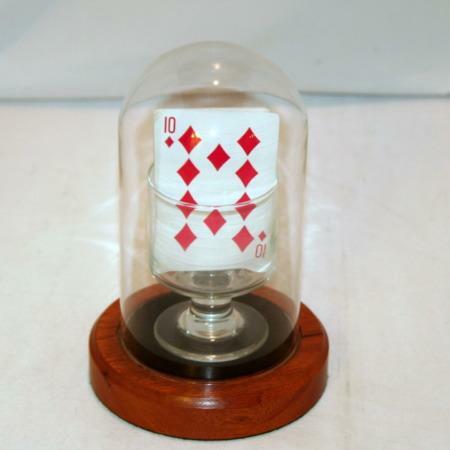 Comes complete with dome, base, glass and regulation Poker Bicycle Cards. Use your own handkerchief. Detailed instructions.